Tokyo is not an easy place to get to grips with, especially for those of us who are used to the structure and scale of most European cities. Its multi-layered sprawl and labyrinthine underground transport network can make it feel like a never-ending maze. Like the city itself, Tokyo's art scene can feel impenetrable to an outsider. The fluctuations of the art world make it difficult to keep up with the art landscape in any big city, but Tokyo more than most as the contemporary art market is not as developed and established as in the US or Europe. This doesn't mean fewer galleries, but rather more of them and a constant ebb and flow of relocations, openings, and closures too. As a regular visitor to the city over the last decade, I still feel as if I have only seen the tip of the art scene iceberg. Galleries are often small, tiny even, and difficult to find, rarely at street level but tucked away in a basement or on the 4th floor of an anonymous building in a non-descript neighbourhood. Part of the charm if you're gallery hopping, but if you actually have to get to a meeting, it can be a little more stressful. I often rely on Tokyo Art Beat, a kind of online art events guide (in both Japanese and English) including exhibition reviews that tells you what is on in Tokyo. A very useful tool, in its attempt to be comprehensive it also ends up being a little overwhelming and is probably more useful when you know what you are looking for. Thankfully there is now another online English-language resource to turn to. Art Space Tokyo has existed as a physical book since 2008, but it has now been launched on digital platforms and as a website including three major sections: spaces, interviews and essays, as well as a timeline of some of the major art events in Tokyo over the last 60+ years. Rather than going for a comprehensive picture of the Tokyo art scene, Art Space Tokyo limits itself to a couple of handfuls of spaces and art world 'players', providing the essential info but also going into some depth and analysing current trends. The essays included also tackle interesting questions such as the nature of Japanese street art or the state of art journalism and criticism in Japan, making this much more than a guidebook to the Tokyo art world. The authors, Ashley Rawlings and Craig Mod, have also clearly given a lot of thought to translating all the content from a paper book to digital platforms (iPad, Kindle) and to a website. They have been generous too, putting up the entire contents of the book online for free, even holding on to Nobumasa Takahashi's great illustrations, rather than treating the site as a sneak preview promotional tool. This one is bound to come in handy on my next visit to Tokyo. As 2011 came to an end, I (somewhat foolishly) decided to compile the many 'best photobooks of 2011' lists that were popping up all over the internet to see whether there were any books that were consistently getting all the plaudits. The result is the previous post, a meta-list drawn compiling a total of 52 lists and 313 books. The final tally was reassuringly inconclusive: I'm not a big believer in the idea of absolutist Top 10s and the huge diversity of books that were selected is proof that there are great photobooks being made all over the place. However, it was also a reminder of just how many photobooks are being published and how few of them any one person is likely to see in a given year. I was particularly struck by the almost total absence of books published in Japan from these 52 lists (6 books out of 313! ), particularly as two of the books with the most 'votes' were by Japanese photographers (Rinko Kawauchi's Illuminance and Yukichi Watabe's A Criminal Investigation). I thought it would be interesting to get a view from Japan, so I joined forces with Dan Abbe of Street Level Japan to ask some Japanese residents to pick out a few books that they enjoyed which were published in Japan in 2011. The contributors are: Dan Abbe, Nao Amino, Atsushi Fujiwara, Peter Evans, Ken Iseki, Ryosuke Iwamoto, Tomoe Murakami, John Sypal and Ivan Vartanian. "Maybe my favorite book of the year. Bright colors, geisha and yakuza draw you in, but Usui is very conscious about playing with Japanese culture and history. 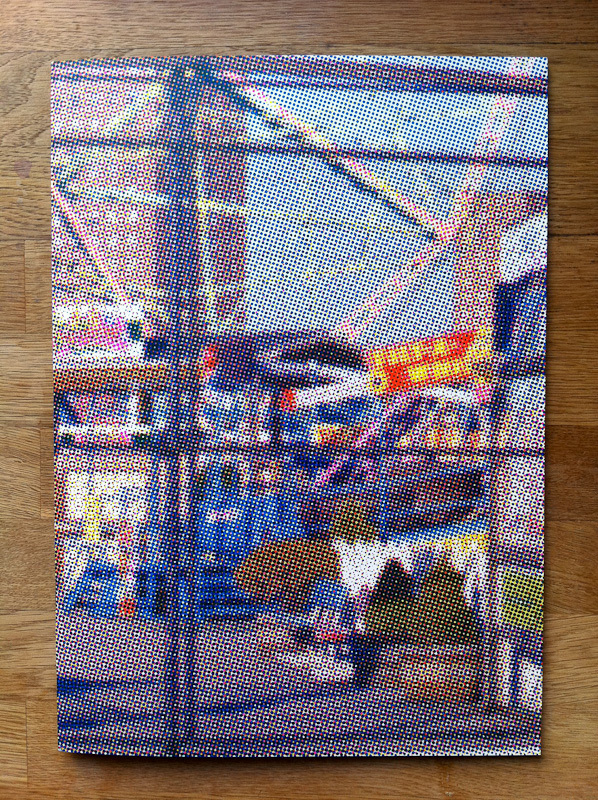 I will definitely introduce this work in more detail in 2012." "Color photos of Spain in the 1970s that Kitai dug up from his basement. Simple and excellent. I posted a few photos here and they were later picked up by a blogger in Spain who wrote some very nice things about them." "A criminally cheap self-publication which creates an artificial structure for 'daily snap photography' – it's a book of photos only taken on the first of each month." "Color photographs from a psychology graduate turned photographer. You could actually buy this zine using the link above." "I'm cheating. This book was actually published in 1994, but it's the most I spent on a book this year, and with good reason." "Masayuki Yoshinaga, who has been shooting groups of minority and outsiders in Japan, made this series of work in 1993 when he was still a photographer's assistant. Building good relationships with the subjects made it possible to photograph these relaxed naked men from such a close distance." *Sento is an old style public bath (not a natural hot spring) that can be found almost anywhere in Japan. "After publishing tons of photobooks with various publishers since his debut in the late 1990s, he launched his own publishing label 'Taisyo' in 2008. Sanai is a very typical Japanese photographer in a way: strolling around neighborhoods and shooting photos without any concept, but no other photographer's work has as much strength as his photography. This is the tenth book of his own from the label." "As many other photographers did, Takashi Homma also left for the Tohoku area to document the aftermath. But he didn't photograph any debris or people like others did, instead he chose to shoot the forest and mushrooms in Fukushima which also suffered from radioactive contamination." "Because this photobook reached people who don't buy photobooks or who are not even interested in photography at all. Simply amazing." "The exhibition "Masterpieces of Japanese Pictorial Photography" at the Tokyo Metropolitan Museum of Photography reminded us that there was also an significant movement, which is hardly recognized, before the era of Araki and Moriyama. 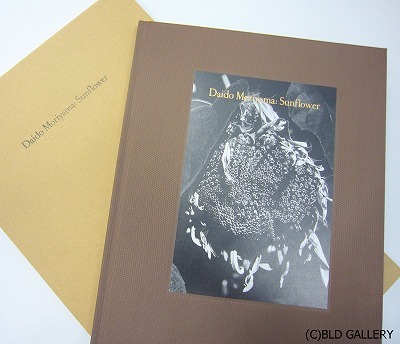 This is the catalog from the exhibition." 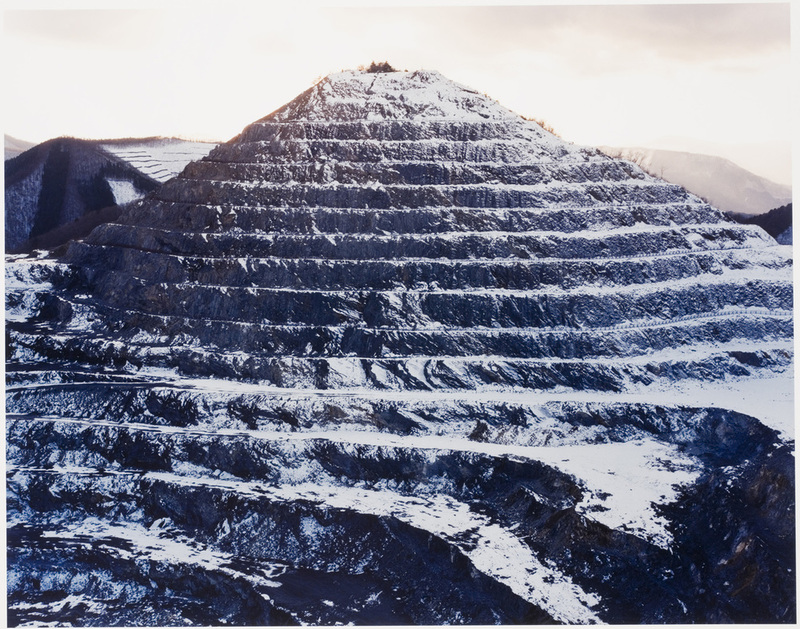 "For me, the best thing wasn’t a book but an exhibit—Naoya Hatakeyama’s show 'Natural Stories' at the Tokyo Metropolitan Museum of Photography. It’s not really 'today’s Japanese style,' but I thought it was great on the whole, so I’ll pick the catalog that he made for the show." 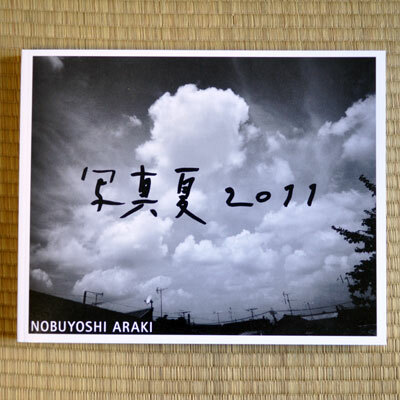 "2011 saw the publication of several more photobooks by Nobuyoshi Araki. In addition to being featured in at least one magazine each month, the man puts out more solo photobooks in a year than most established Western photographers put out in a career. Here are three of my favorites and one non-Araki publication." "A small visual treat published by Taka Ishii & Zen Foto galleries which is a collection of recently rediscovered pictures taken by Araki in the mid 1960s, several years before his Sentimental Journey debut in 1970. 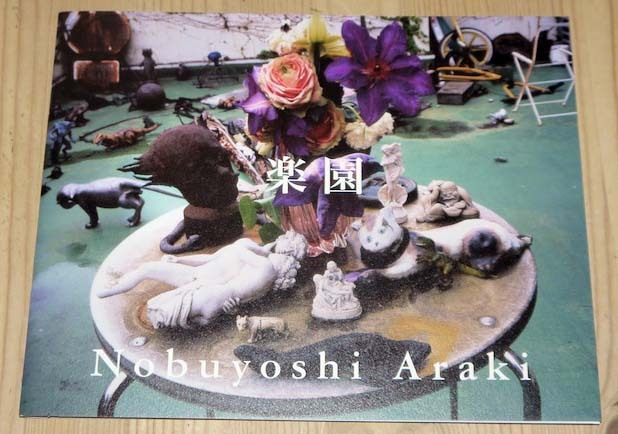 The book, published in an edition of 1000 copies, matches the 5x7 size of the actual rough little prints while the content allows one to see the the very foundations of Araki's future major themes coming to light. A must-have for those interested in learning more about the early stages of this artist." "With a title that roughly translates into "The Diary of an Old Man Photo Maniac", Araki again employs his date-imprint function to great effect chronicling the three months to the day after the Tohoku Earthquake on March 11th. Where his inclusion of color paints to black and white photographs resulted in brilliant and moving imagery, his alteration of the images in this book was subtractive in his scratching of the negatives with the edge of a coin. Each image bears a scar or fault line through it with results that fluctuate between sadness, horror, and at other times comedy. His tenacious treatment of the actual physical essence of film-based photography comes across as a rebellious challenge to the dry dull digital era he has been lamenting in recent interviews." "The third and most beautiful of three Araki books published by Rathole Gallery in 2011, Shamanatsu continues on with the artist's personal destructive alteration of physical photographs. The book is divided into two parts, the first being pictures taken with his Leica over the past 5 years from various commercial assignments and personal experiences. Each print has been unsettlingly and completely torn in half only to be mended back together with cellophane tape across the front the prints. The publisher did a marvelous job recreating the shimmer of the tape on each page. The second half of the book is a series of images Araki took over the unusually hot 2011 summer with a new Fuji 6x7 camera purchased earlier in the year. In a recent interview in the mens' fashion and culture magazine, HUGE, Araki states clearly that Shamanatsu is not any sort of Art with deep meaning, but simply the photographic manifestation of his own physiology. He also added that after his new camera broke this series came to its sudden end." 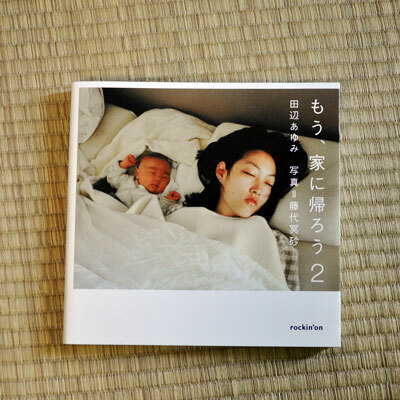 "Photographer Meisa Fujishiro's sequel to his wildly popular book "Let's go home". While his first book, now in it's 9th printing, simply dealt with married life with his wife (a professional model) and dogs, the sequel introduces his son from birth and five years after that. For a skilled photographer who mainly shoots celebrities and bikini models, Fujishiro's pictures of his home life are never bogged down by excessive slick camerawork or sentimentality. Their delightful frankness is a simple kind of beauty." "With the risk of sounding contrarian, compiling a list of books as a year in review is tricky business because most often such lists are mistaken for "best of" and do a great disservice to publications whose stand-alone value is problematic. If there is one thing I've learned from working with Japanese photography and Japanese photobooks it is the need for trepidation in looking at things in isolation, which is the inherent project of such review lists. So much of Japanese photography has to do with the relationship and context of images within a given sequence, as well as the circumstance of publication and why a book was made. In a similar regard, the books I've selected aren't necessarily "best of" books. Rather, they were selected for what they say in relationship to the photobook oeuvre of each individual photographer." "From her earliest and strongest photography projects, Nagashima has used Family, her family in particular, as the source material for her photography. As a book production, SWISS+ interleaves pages of photography with prose printed on tracing paper. The photographer has recently turned her attention to writing both non-fiction and fiction. This book most poetically gives us a framework for how she finds a sort of concordance between the two mediums, sometimes independent, sometimes dependent on one another." "This book was largely overlooked and under-appreciated after its publication. Documentary compiles this master photographer's recent color work. The photography's awkward vertical format and how it reveals the position of the photographer relative to his subject matter seem to be at odds with the book's lofty title. But when we consider this publication in light of Nakahira's early and other experimental work, the project of his color work is slightly more understandable—resisting the dogma and trappings of contemporary photography. The publication of Documentary was almost simultaneous with the publication of a facsimile edition of his legendary For a Language to Come (Osiris, 2010)." "The lush black and tonal range of this publication are an example of how beautiful basic offset printing can be. The same is true of the craftsmanship exhibited in the book's layout and edit. In its simplicity, it shines." "M is an ongoing series of about fast food restaurants around the world. M refers to the identifying logo mark of the McDonald’s chain of restaurants. Such establishments have been a continual object in Homma Takashi’s photography since his Tokyo Suburbia series, which addressed the Americanization of Japanese culture. 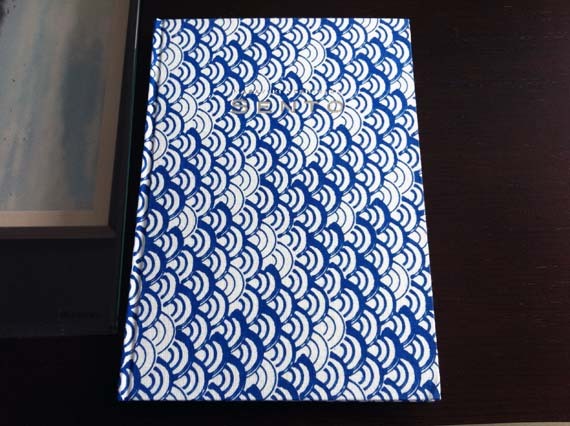 The screen printing of the photobook’s cover has a plain visual kinship with the discernible dot pattern on the cups and packaging produced by the fast-food chain. Does eating too much fast food also effect vision? 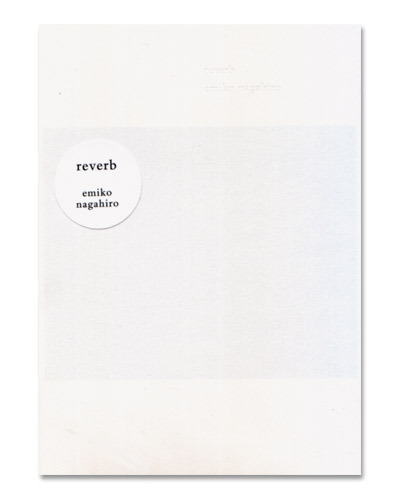 Among the 500 copies of the edition, there are multiple cover variations." "This is a bit of a cheat. 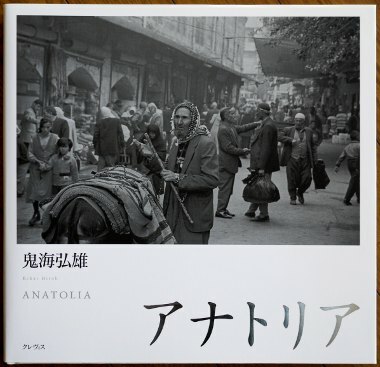 This book was not published by a Japanese publisher but, as a body of work, it may be one of Onaka's best photobooks so far, especially when considered relative to his previous publications. This is an example of the photographer stepping outside of his familiar territory and producing a body of work that is free of his usual rigor. The full weight of his previous work still lingers in the air of this tiny book. It is a treat to see the cone-shaped birthday hat worn by his otherwise hapless mother, dutifully giving her son (Koji) a birthday party. The photographer scanned monochromatic photographs from his family albums and added color to each image in Photoshop. Onaka’s father was a photographer so there was a wealth of snapshots to choose from." My most recent trip to Japan in October happily coincided with Naoya Hatakeyama's first retrospective at the Tokyo Metropolitan Museum of Photography. Regular readers will know that I am a big fan of his work – and there is quite a lot of it – so I was curious to see how this exhibition, entitled Natural Stories, would be put together. The exhibition has now closed in Tokyo but opens at the Huis Marseille in Amsterdam today until the end of February 2012. To coincide with Natural Stories, Hatakeyama also released his latest book, Ciel Tombé, which I included on my best books of 2011 list, so I thought I would discuss them together here. I will admit to being a little surprised at the selection of work in Natural Stories. Although there are ten different bodies of work in the exhibition, none of Hatakeyama's work on Tokyo (Underground, River, Maquettes/Light...) was included. However, in the curator's text on the exhibition she is quick to explain that this was a conscious decision given that Hatakeyama already had several solo exhibitions in Japan including a 2007 show at the Museum of Modern Art in Kamakura & Hayama which took the city as its theme. With that in mind the exhibition's focus on the natural landscape makes sense. The title Natural Stories is an intriguing one. I think it works best in french (Histoires naturelles), which I believe is the language in which the title was originally given. In french 'histoire' can mean both history or a story. The title evokes Natural History, stories about nature, and perhaps even a history of nature itself. The essay by the French writer Philippe Forest in the exhibition catalogue explores these notions in detail so I won't dwell on them any further, but the title evokes the very different considerations that inform Hatakeyama's photographic approach to the landscape. His landscapes are never 'just' landscapes: they are always the reflection or the echo of something else. For instance, although it depicts the limestone mines, the series Lime Hills deals with the transformation of the natural landscape to feed the insatiable growth of the city of Tokyo. Although it is almost never directly present in this exhibition, the city is never very far away. In the series Ciel Tombé Hatakeyama explored the Parisian catacombs and their underground 'fallen skies' (ciel tombé). This series is the subject of Hatakeyama's latest book, Ciel Tombé (Super Labo, 2011). For this book Hatakeyama has deviated from the standard photobook formula and asked the French author Sylvie Germain to contribute a short story based on his photographs . I won't go into detail about this book as this post is already overly long, but I will say this: I first saw the work from Ciel Tombé a few years ago at a gallery in Tokyo. Several months later I had the opportunity to read Sylvie Germain's deliciously strange and unsettling text. I had not seen any of the images since that first viewing, but as I read through the story the images appeared in my mind as if I had only just seen them. For the moment the book only exists in a deluxe edition of 200 which includes a print, a book of Hatakeyama's photographs and another book containing Sylvie Germain's text in French, English and Japanese, but there is word of a second edition in the making. Returning to Natural Stories, for me the final two rooms of the exhibition were the highlight. The first of these rooms (pictured at the top of this post) contained Hatakeyama's most recent work on his hometown of Rikuzentakata in Iwate prefecture, one of the many towns destroyed in the tsunami of 11 March 2011. Although very little time has passed, Hatakeyama decided to include a series of photographs in the exhibition that he took in the wake of the disaster. Many images have been produced of the aftermath of the tsunami, but most of these fail to connect beyond conveying the scale of the physical destruction. What stands out about Hatakeyama's images is how matter of fact they feel. He has photographed these landscapes with the same unflinching precision, intelligence and quietness tinged with nostalgia as any other landscape. His photographs strike me as the most natural possible response to the disaster, but they must have been incredibly difficult to make given the deeply personal and tragic nature of the subject. These images are presented on three adjacent walls in the space, while on the fourth a slideshow of images taken between 2008-2010 in his native region is presented in the guise of a framed photograph. The final room contains the companion series Blast and A Bird. Both series have been exhibited and published in the past, but for this exhibition Hatakeyama also chose to present Blast as a stop-motion video projected on a huge wall in the space. These photographs have a potent mix of beauty and brutal force which is heightened even further when animated in this way. It is an overwhelming end to the exhibition and one which resonates long after you leave the space.